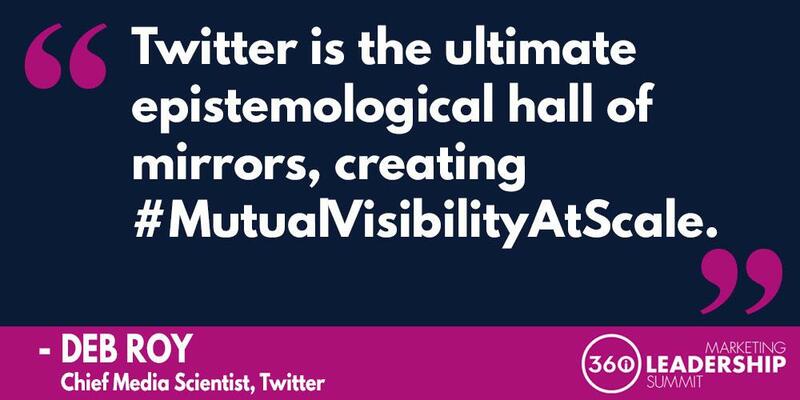 in 360i News with tags #MutualVisibilityAtScale, Andrew Parker, Cambrian Explosion, Deb Roy, MIT, Twitter Both comments and trackbacks are closed. 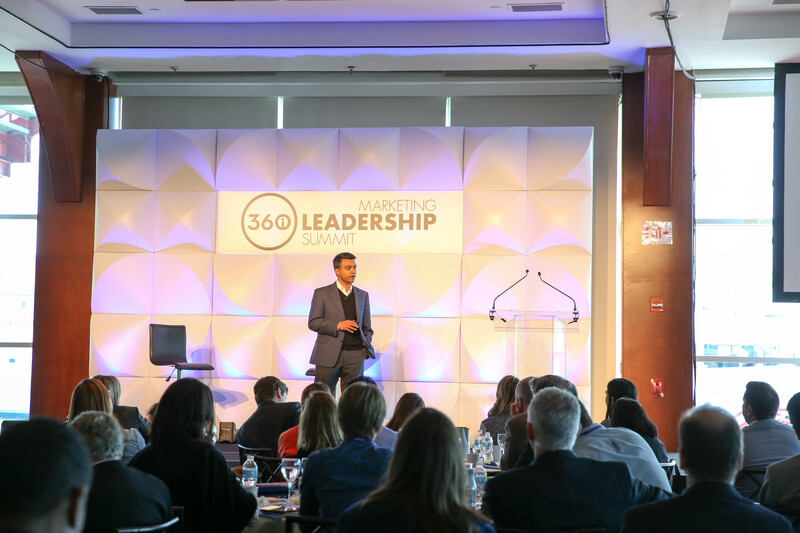 At this year’s event, we explored how to “Reimagine (Almost) Everything,” and learned how some of the world’s leading marketers and media companies are navigating change and shaping the future of our industry as it moves from being TV-led to digitally led. Working with over 500 million tweets per day, Twitter’s Chief Media Scientist Deb Roy and his team at the MIT Laboratory for Social Machines are studying the evolution of social communication and how platforms like Twitter are providing mutual visibility at scale, leading to a more transparent state in communication. Deb likened the spread of digital technology and the current state of transparency to a theory by zoologist Andrew Parker, which proposes that the diversification of animal life came after the Cambrian Explosion, when the oceans cleared and vision was suddenly at the forefront of evolution. In this digital age we live in, brands and marketers must understand that the increased visibility at scale that social platforms are now able to provide is not a threat but an opportunity to evolve. Nowhere is this mutual visibility more evident than in Jun, a small town in Southern Spain that is using social media to power communication. Jun uses Twitter as its primary channel for citizen-government communication, and its mayor is at the center of the conversation. Citizens can submit maintenance requests, raise issues, and file complaints all on Twitter. The mayor and other public officials respond with tweets through this public forum, which leads to accountability at every level in this networked democracy. Deb and his team are mapping Twitter data in Jun to better understand who is driving the conversation online, follower relationships, and the affinity of topics discussed, in the hopes that this analysis will lead to more effective digital communication and scale for larger communities and organizations. The team at MIT is also building a new analytics engine to map conversations of candidates, journalists, public influencers and individuals in the upcoming presidential election – extracting authorship, named identities and issues to build a database in real-time able to create heat maps of issues and affinity.